Addressing an election rally, about 70 km from the state capital, Pinarayi Vijayan said: "Modi is going around saying that if anyone utters the word Sabarimala during the election campaign in Kerala, they will be arrested. This is baseless and a big lie," the Chief Minister said. 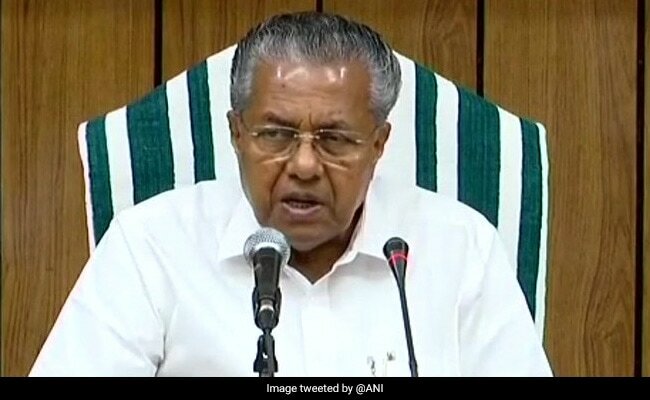 Kerala Chief Minister Pinarayi Vijayan slammed Prime Minister Narendra Modi for speaking about Sabarimala in neighbouring states, while in Kerala he did not take the name of the shrine when he spoke at a rally at Kozhikode last week. Addressing an election rally, about 70 km from the state capital, Mr Vijayan said: "Modi is going around saying that if anyone utters the word Sabarimala during the election campaign in Kerala, they will be arrested. This is baseless and a big lie," the Chief Minister said. "What we did was only to abide by the apex court directive on Sabarimala. Those who violated the rule of law were arrested," he added. PM Modi, while addressing election rallies in Tamil Nadu and Karnataka, had slammed Mr Vijayan for arresting devotees who protested against the manner in which the tradition and culture of Sabarimala were violated. "Modi as the Prime Minister also would have done the same thing and that's to abide by the directive of the apex court," Mr Vijayan said. "To protect the democratic principles of our country, we have to abide by the verdicts of the apex court. That's all what we did. But what the Sangh Parivar forces did was to send criminals (to the town). I am sure Modi also would have had a role in creating unrest at the Sabarimala temple town," the chief minister said, and asked the people to vote for the Left Democratic Front led by the Communist Party of India-Marxist (CPI-M). CPI-M Secretary Kodiyeri Balakrishnan said the 'Sabarimala Karma Samithi' which protested in front of the Secretariat was a 'karma samithi' of the RSS and its leader Swami Chithananda Puri was no 'swami' but an RSS leader.